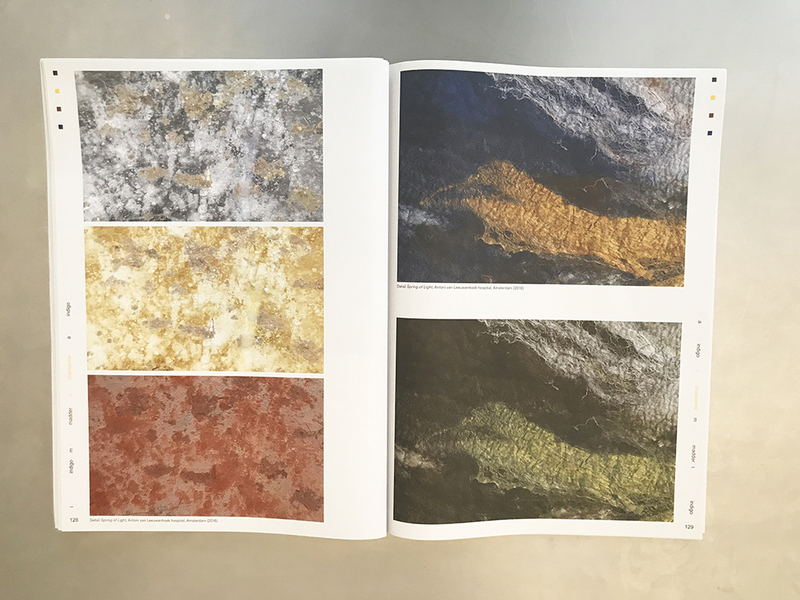 This artist’s book is the result of an intensive cooperation between Claudy Jongstra, interviewer Louwrien Weijers, editor Marietta de Vries and internationally renowned graphic designer Irma Boom. 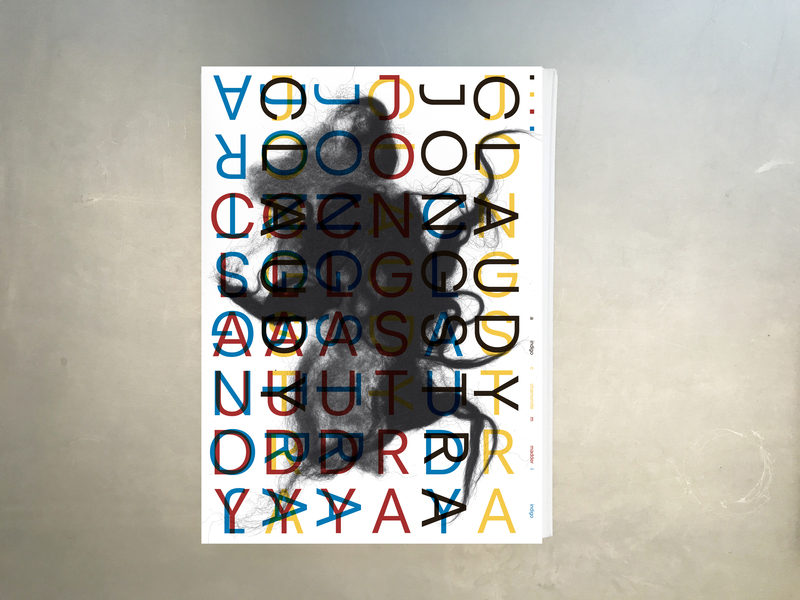 The particular form of the book is a reflection of Claudy’s work but even more of the creative process. 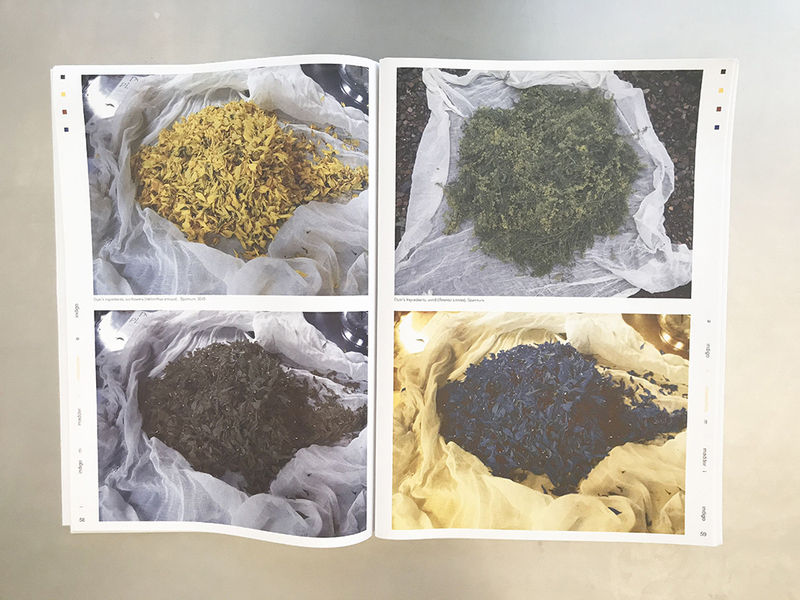 The structure of the book follows the collaborative, inclusive process of creating the work, the earth, the cultivation of the dye crops that the colors are derived from, through harvesting, using old recipes for making the dyes up to the colors of the wool and the other used natural substances, the carding, felting, weaving and processing of the fabrics, creating the works and placing them in situ. 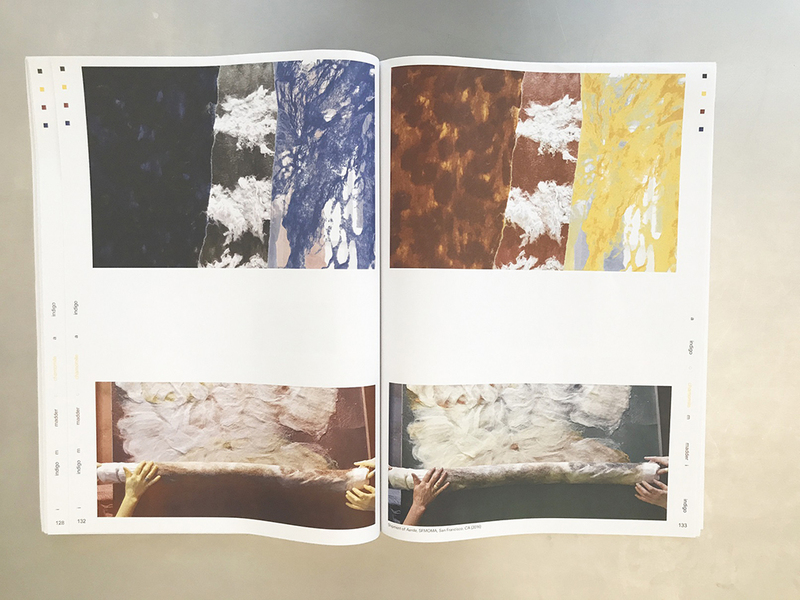 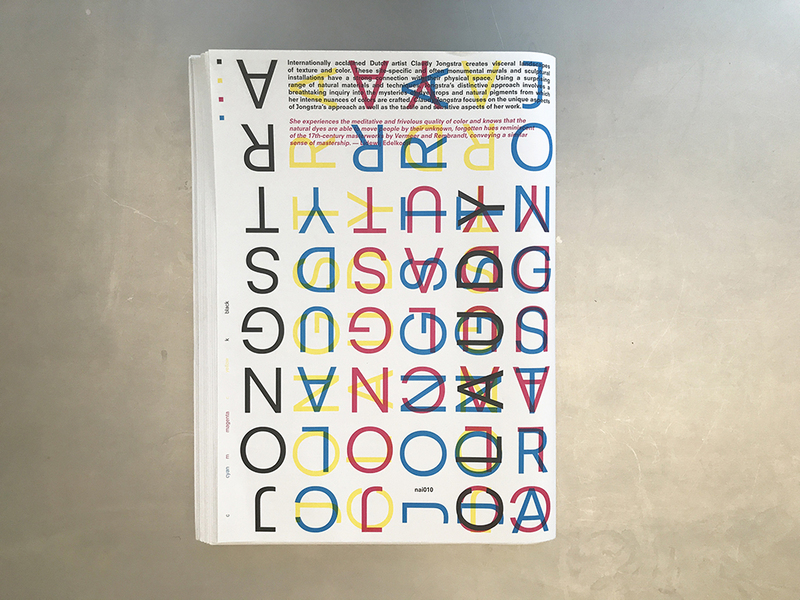 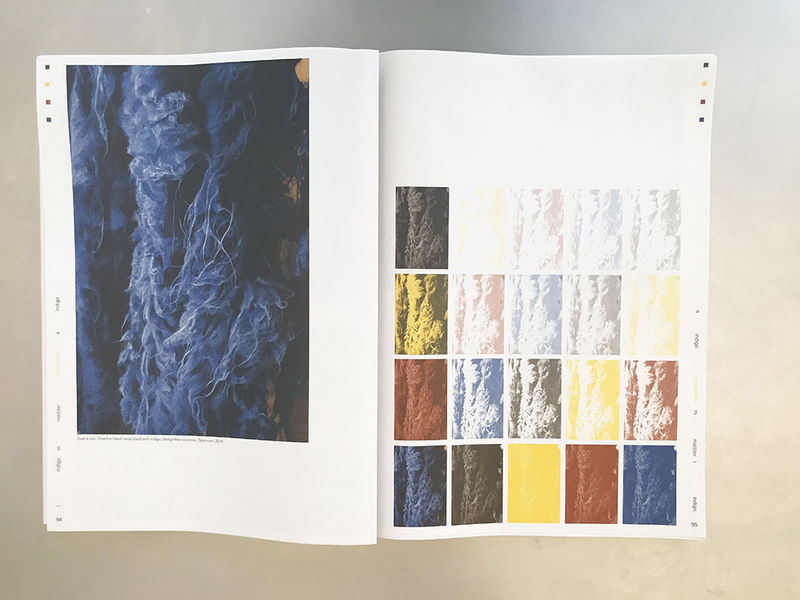 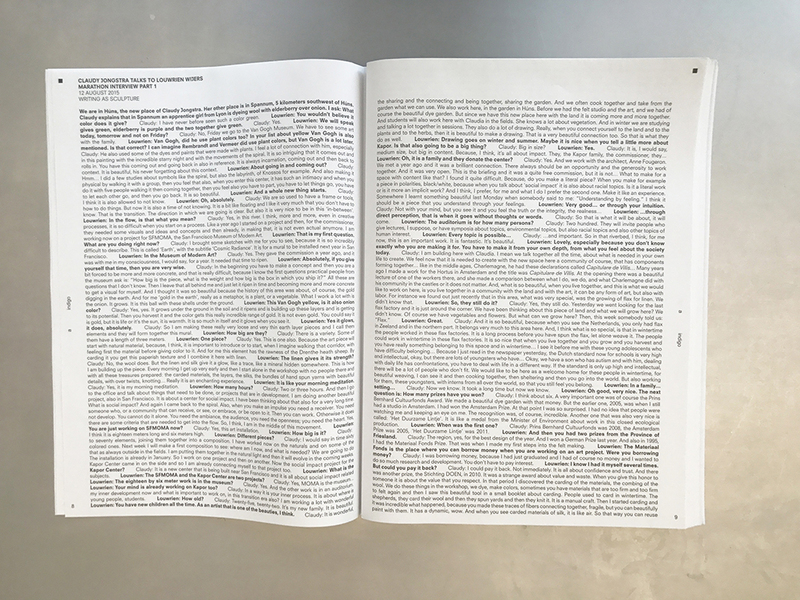 The inks used in the book are biodegradable, and Irma Boom selected special printing colors that correspond with the natural dyes that Claudy uses for her tissues. 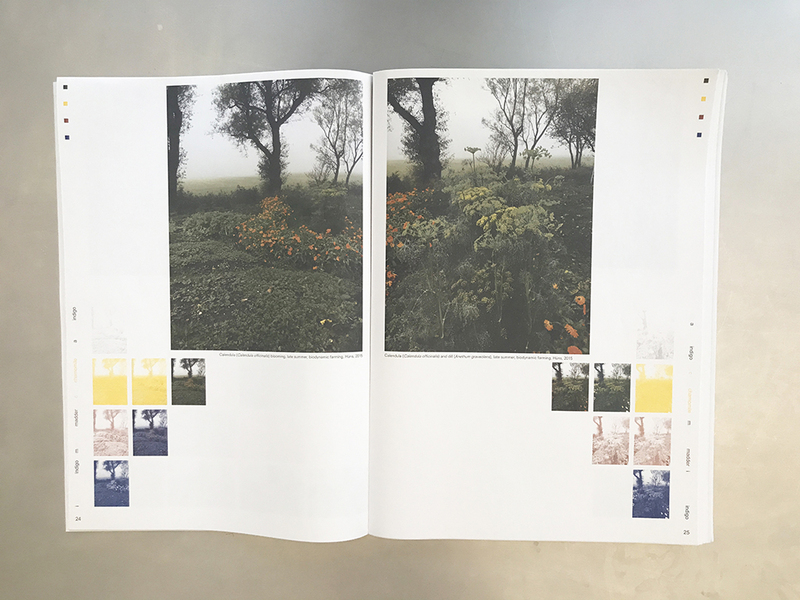 The strips, printed on special paper, were folded but not cut to emphasize the making of the book. 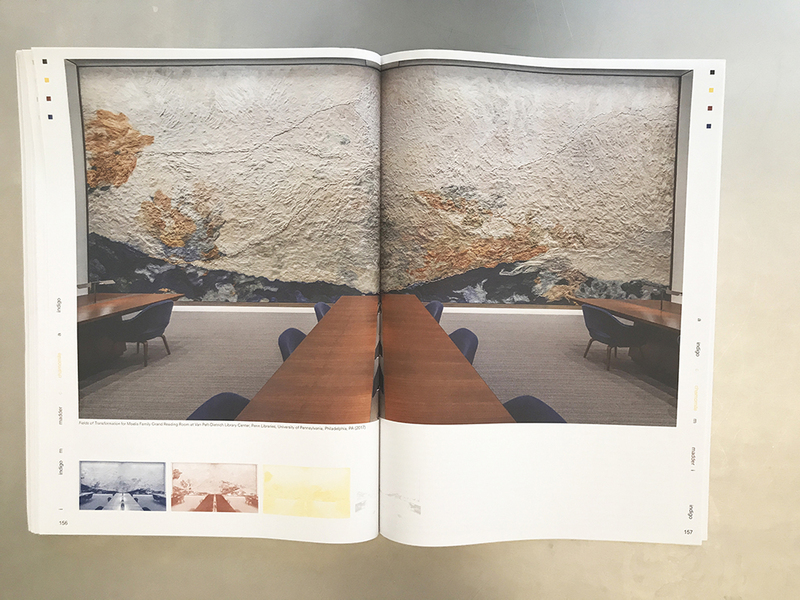 Also, instead of a traditional cover, a transparent sleeve with screen printing was chosen to also show the interior of the book which normally remains ‘hidden’ in the binding. 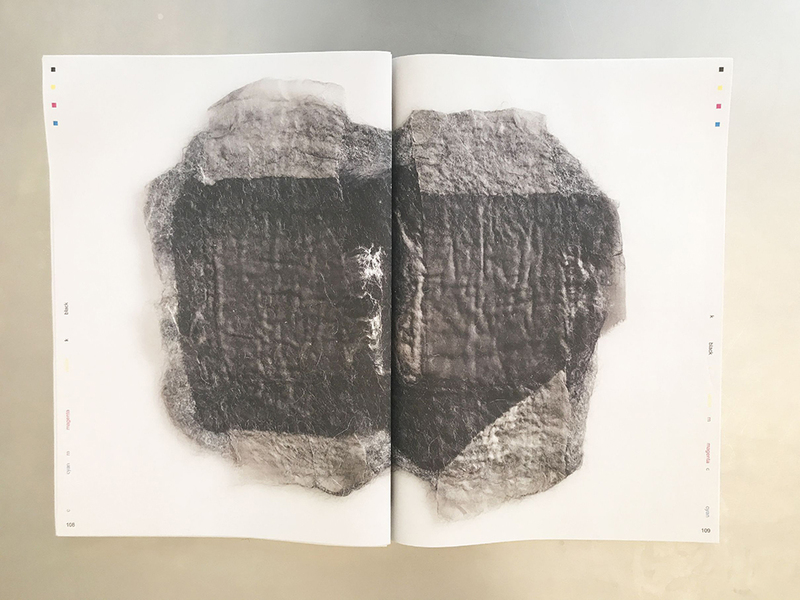 The result is an artist’s book that represent the inclusive, collaborative and process-oriented character of Claudy Jongstra’s book and includes the creative process of the book.